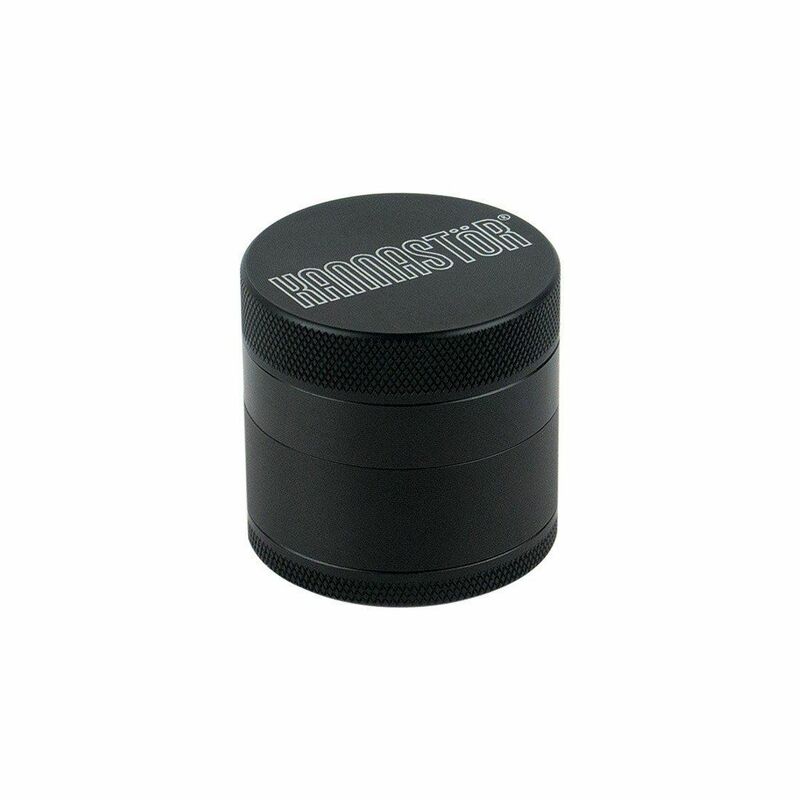 The 4 Part Kannastor Black Series Grinder 1.5" is a mini grinder for dried blends that will cover your every need for grinding on the go with the added bonus of a matte black finish for that sleek appearance. 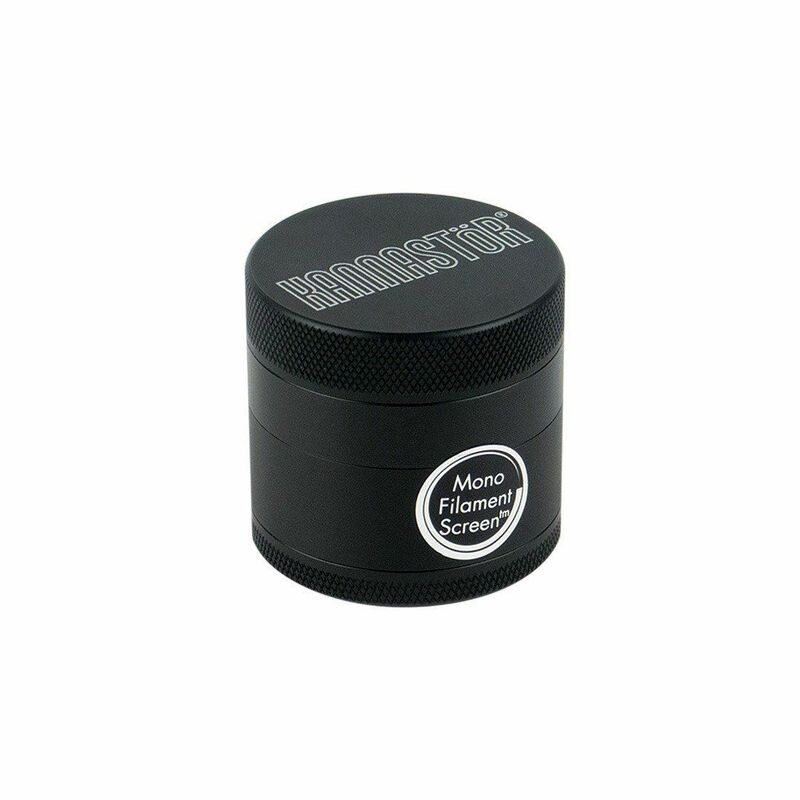 Measuring in at 1.5" in diameter and 1.5" tall, this tiny grinder comfortably fits into a pants of jacket pocket without weighing you down everywhere you go. 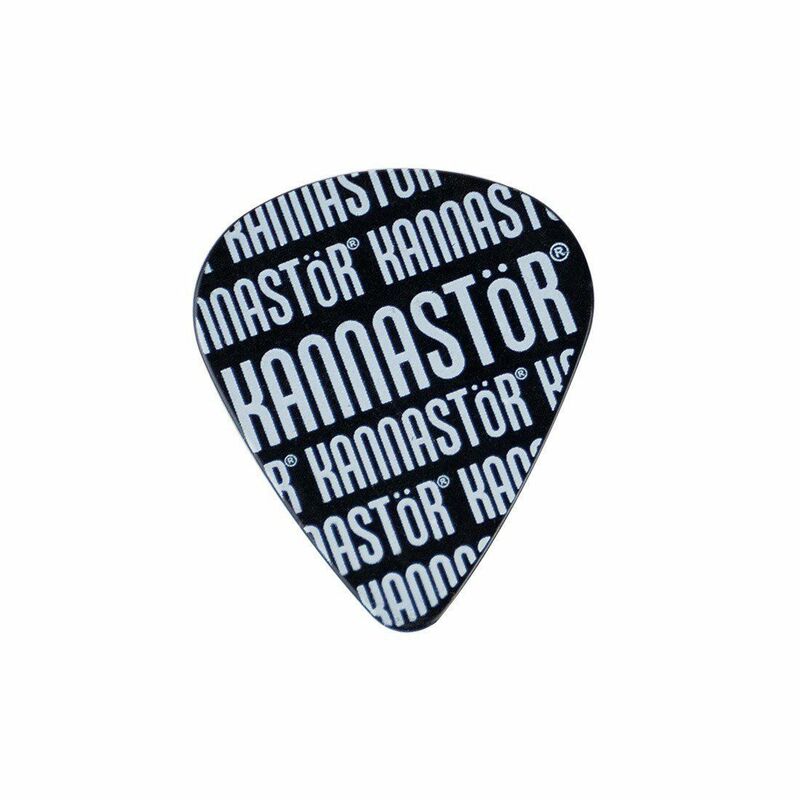 Although it is small in stature it is packed with all of Kannastor's advanced features. You will enjoy the cutting-edge tooth pattern with specially engineered drop through hole design that creates the perfect consistency for smoking or vaporizing without ever overshredding your material. 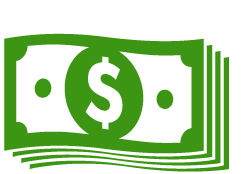 It is constructed from an extremely durable food grade aluminum that will last for years to come. This 61/60 hard-aluminum is equipped with an outer anodized coating that makes it highly resistant to chipping, scratches and scuffs. Even after a few hard to avoid drops and falls it will look just like new. Inisde the top layer you will find a set of some of the strongest magnets known to man. 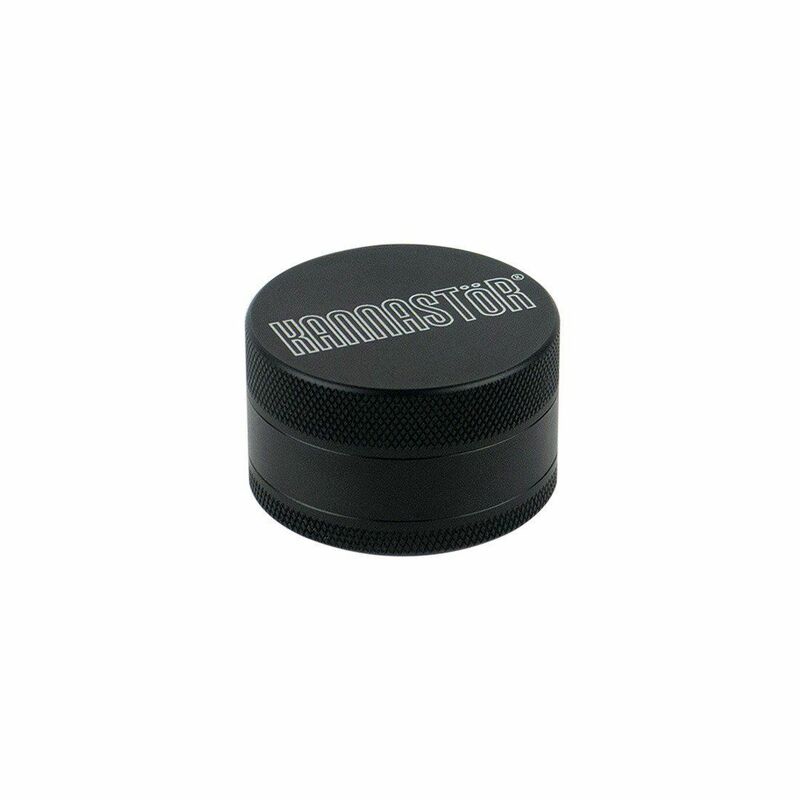 These neodymium rare earth magnets will keep your Kannastor closed at all times until you are ready to grind, don't worry about it opening while in a pocket during travel because it just won't happen. 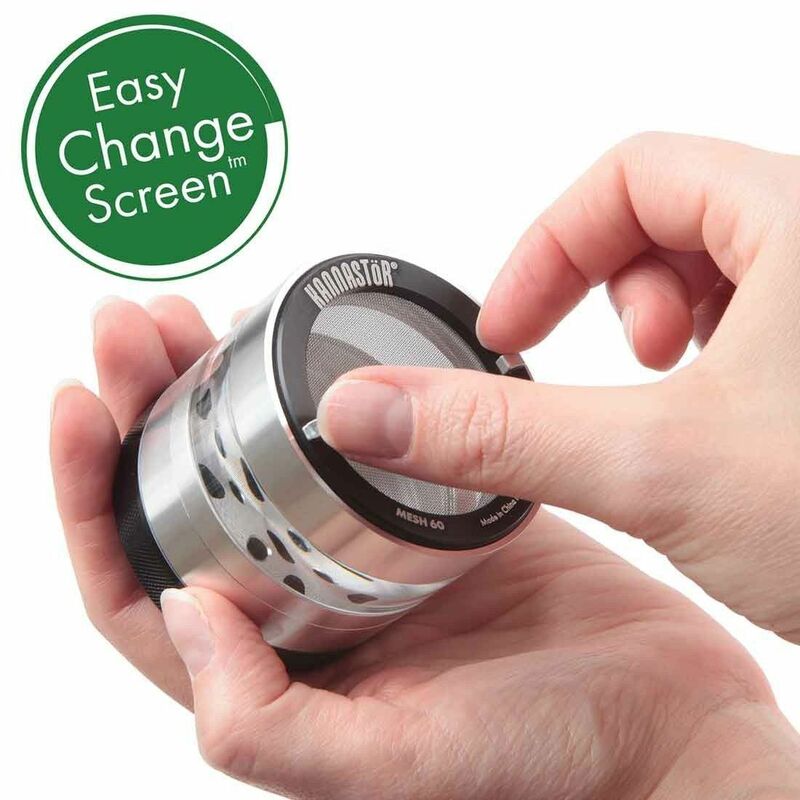 The 1.5 Inch Kannastor Grinder also comes equipped with their innovative Easy Change Screen design that makes cleaning and replacing it a quick and simple process. Using just two fingers you can twist this screen out of place and even replace it with their new 100 Mesh Monofilament screen for the highest quality sift imaginable. 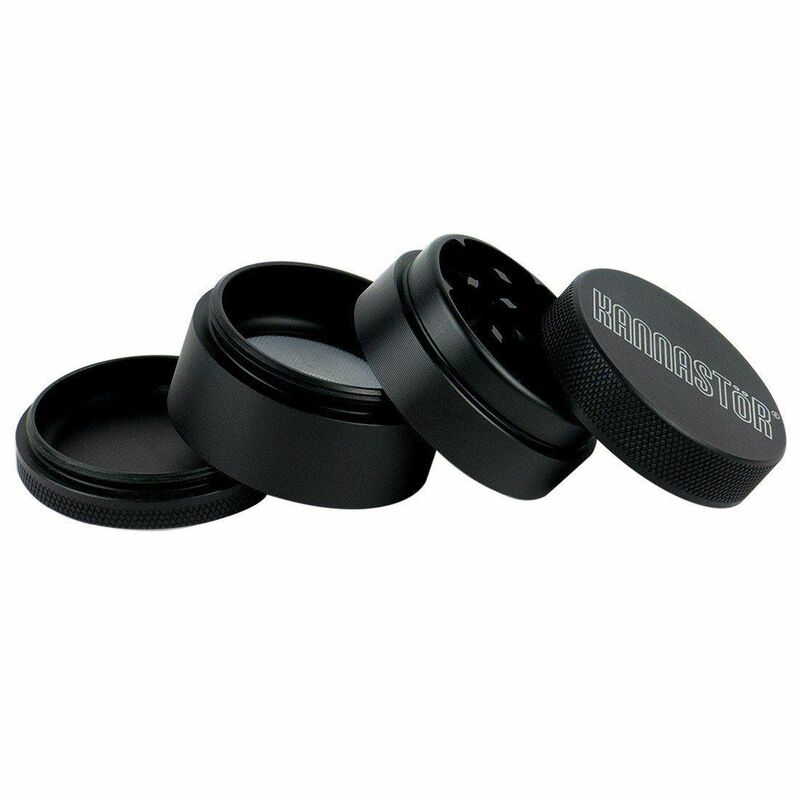 Invest in Kannastor's Black Series Grinder today and enjoy a lifetime of easy grinding on the go! 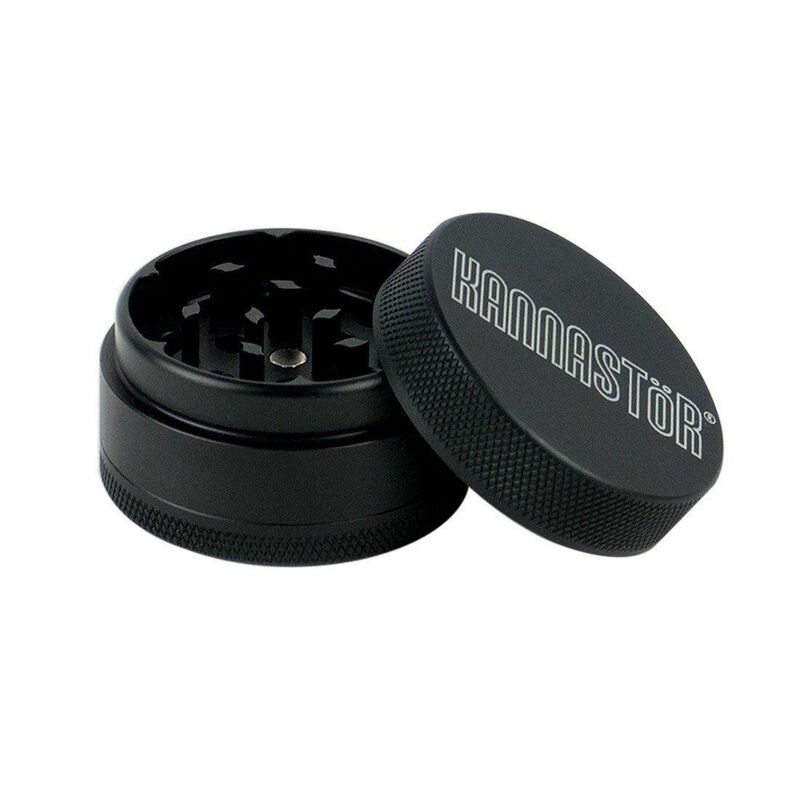 1 x Kannastor 4 Part Black Series Grinder 1.5"